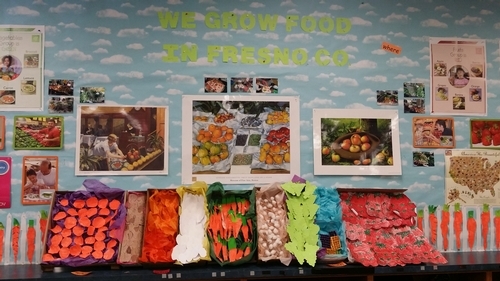 "We Grow Food in Fresno County!" Did you know that cotton is a food crop?! I didn't, but Mrs. Anderson's TK class at Rowell Elementary did! 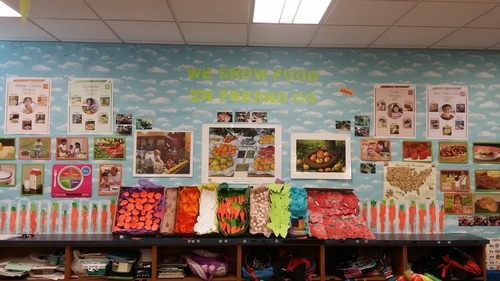 Mrs. Anderson's class took the learning process a step further by creating a spectacular wall titled, “We Grow Food in Fresno County.” The wall showcased a Farmer's Market with a variety of fruits and vegetables such as grapes, tomatoes, and berries. Mrs. Anderson shared that this project was a great way to both inform students about the abundance of local foods that grow in their county and allowed them to connect the healthy foods to MyPlate. Take a look at these impressive pictures of the classroom's Farmer's Market! 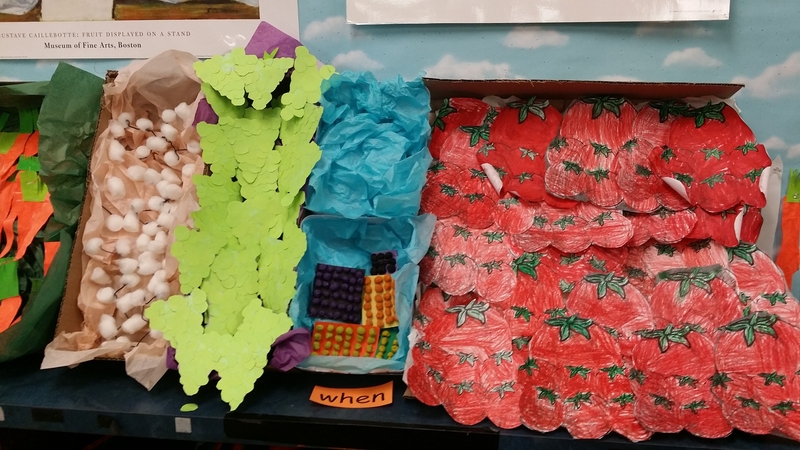 Wow- Look at the variety of delicious foods! 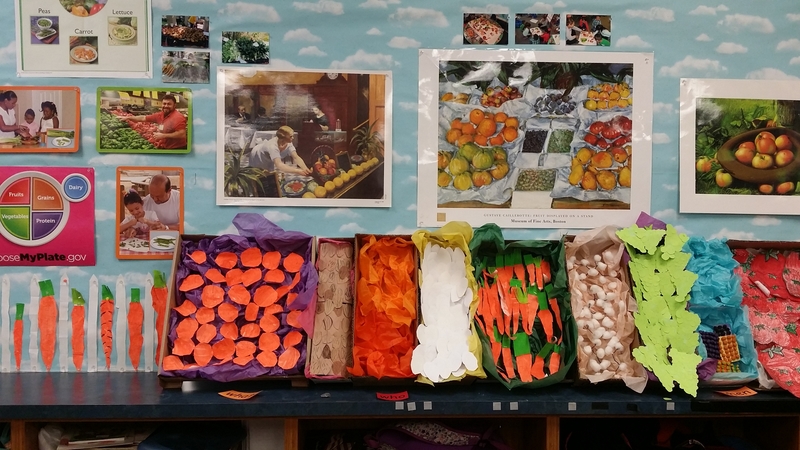 I see grapes, tomatoes, carrots, blueberries, and cotton! Thank you to Mrs. Anderson and her students for their extraordinary work! Step exercise is an excellent way to get the heart pumping while strengthening the leg muscles! 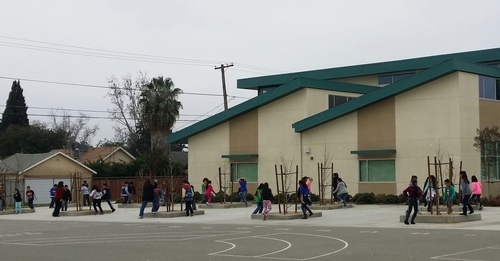 Providing steppers for 60 students may be a little pricey for teachers, but who needs steppers when your school has concrete planter boxes? Two teachers at Rowell Elementary improvised with what was available when it comes to stepping. Mrs. 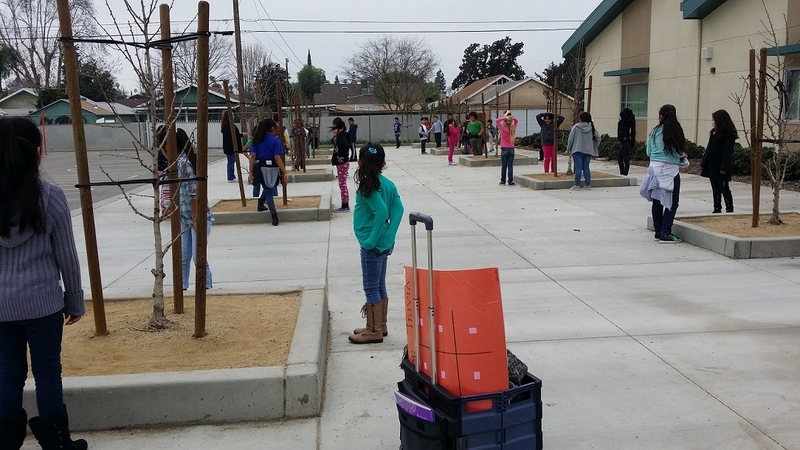 Mares and Mrs. Thao's 4th grade students made the most out of these four sided planters as each student was assigned a section to step on. The teachers led the classes by counting and stepping together. Stepping is just one of the many ways the teachers incorporate physical activity throughout the day. The students also enjoy dance routines lead by Mrs. Mares. Keep on stepping, Mrs. Mares and Mrs. Thao's class! Step to it! Students are getting those hearts pumping! 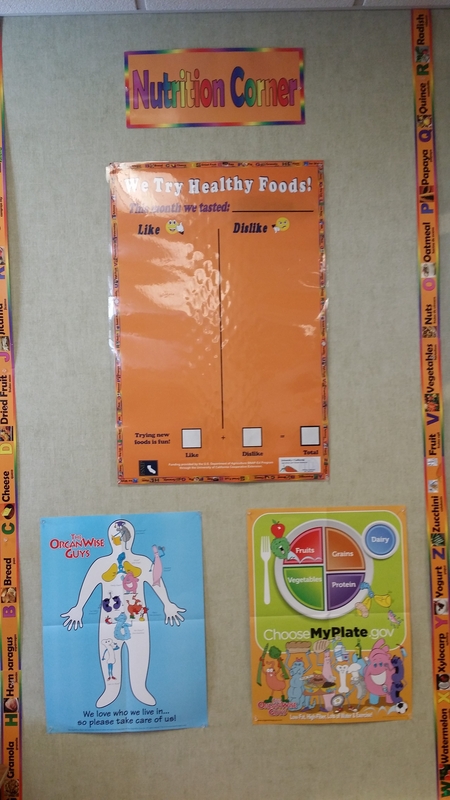 Teachers, do you have your Nutrition Corner displayed in the class for the new school year? 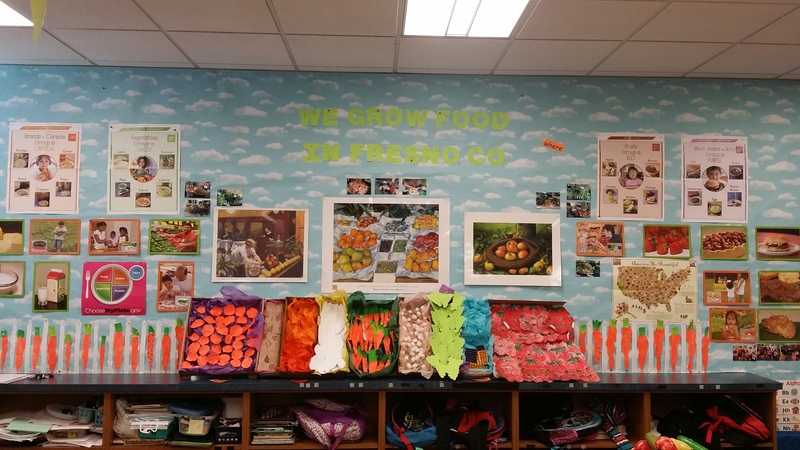 Ms. Owen's Nutrition Corner at Rowell Elementary features the OrganWise Guys. 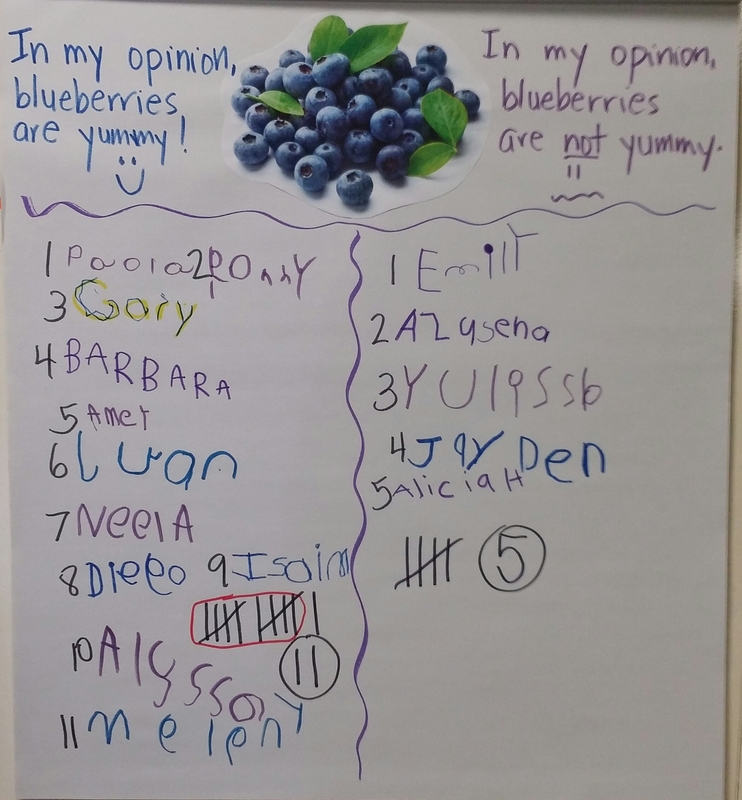 We recommend including posters and student work. 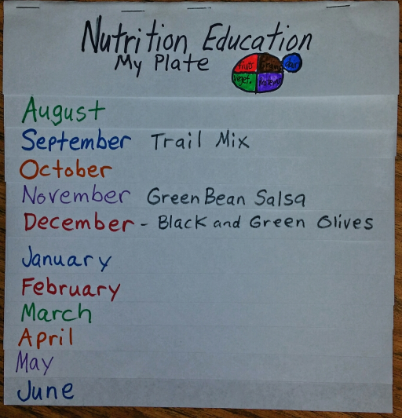 This is a great way to reinforce nutrition education in the classroom. Contact your Nutrition Education Specialist for this resource.